Contact Editions has been in existence since 1990 in three locations. Our first tiny perfect store was on Yonge Street with two floors selling new and antiquarian books. Our next store was the Mount Pleasant greatest used & rare bookstore ever seen and now we are in our prestigious Davenport location, well stocked with fabulous books. Our current stock is about 20,000 books. 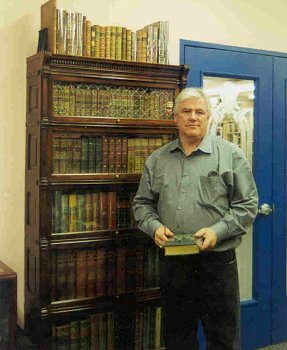 The creators and proprietors of the store are Wesley & Lucia Begg whose combined 70 years experience in new and rare books guarantees your satisfaction. Our manager is Karol Krysik. Karol is an independent bookseller in the Toronto area. Come see one of Toronto's most beautiful bookstores and experience the ages. Books from ad 1500 to 2007.